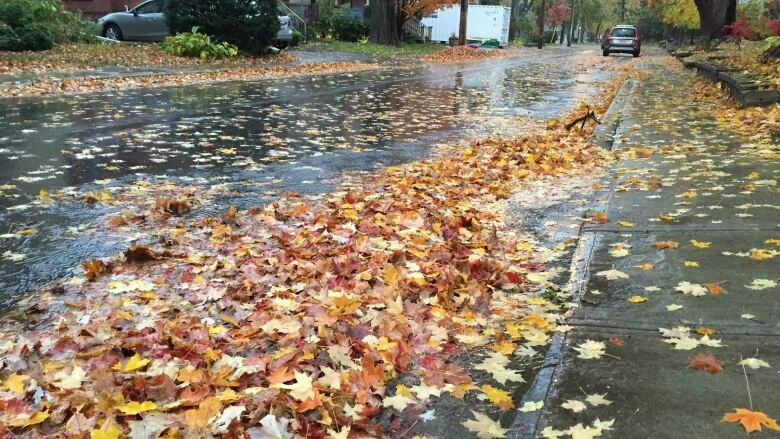 With rainfall warnings issued for a chunk of the island again today — the Department of Municipal Affairs and Environment Canada are warning of pooling water and potential washouts. The effects of heavy rain in southern and central areas of Newfoundland are leading to road closures and fear of further flooding and washouts. Gary Hickman, deputy mayor Milltown-Head of Bay d'Espoir, estimates the town has gotten between 140 and 150 millimetres of rain as of Sunday afternoon, with more on the way. He says there's what looks "like a waterfall" passing over Milltown Route 361-10. "We've got one road closed, from Milltown to Morrisville, because it's overflowing at the boat launch, over the culverts," said Hickman. "And we've got three other places that are almost ready to go too. They're at their limits, but they're still holding." He said there is an alternate dirt road that could be used if necessary while part of Route 361 is closed. Hickman said it's "all hands on deck" in the town Sunday, with an ambulance, the fire department and the Lion's Club all ready to provide support if necessary. The area is all too familiar with flooding after it was hit with severe rain and washouts in 2016, but the deputy mayor said the culverts and roads handling water better than two years ago, and there is no concern about houses flooding just yet. With rainfall warnings continued for a chunk of the island again Sunday— the Department of Municipal Affairs and Environment Canada warned of pooling water and potential washouts. Mike Vanden Berg, meteorologist at the Gander weather office, told CBC Radio's Weekend AM Sunday that between 100 and 150 millimetres could fall in the areas of the Connaigre Peninsula and the Buchans Highway. Vanden Berg said this "intense system" will gradually move eastward through the day. "It'll continue pushing east into Connaigre and up the Gander by this afternoon, and we're expecting the heaviest rain to push into the western Avalon by this evening," he said. "And amounts are probably going to be somewhere in the neighbourhood of 10 millimetres per hour at times, so [there's] going to be a lot of pooling water, especially around the Connaigre area, and maybe some road washouts. It's going to be nasty." Environment Canada reported that as of 7:30 a.m. Sunday, 58 mm had fallen in Stephenville, 50 mm in Corner Brook, 41 mm in St. Alban's, 34 mm at Wreckhouse, and 30 mm at Port aux Basques. 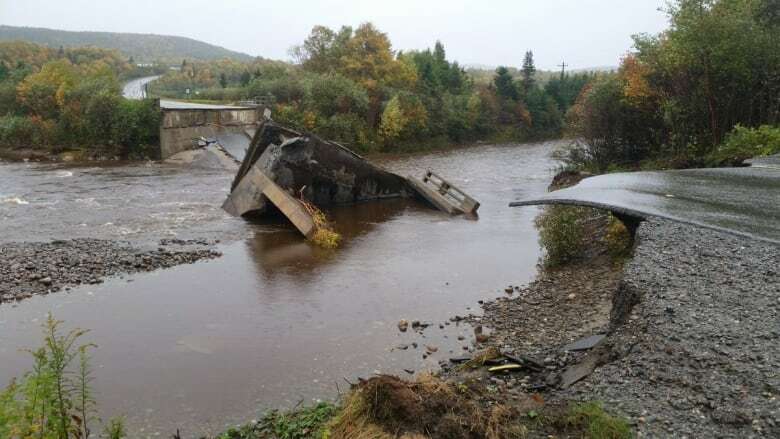 ​Burgeo Fire Chief Glenn Hann says they had steady rain through the night, with 34 millimetres recorded at 7:30 a.m.
Hann said the town is prepared to deal with any washout situations that may arise. Frank Hoskins, who works for the town of St. Alban's, told CBC they haven't witnessed a flash flood or heavy rain, just a steady rainfall since Saturday. However, because of the town's location and elevation, he says, water flows right into the community. "We just had our roads, all new pavement. We had an emergency town meeting yesterday — hoping not to lose our new roads," he said. "All our roads would be destroyed again, it wouldn't hold." Municipal Affairs and Environment Minister Andrew Parsons said his department continues to be prepared. The department has been monitoring the forecast, and have kept in close contact with emergency management partners. The Water Resources Management Division has been monitoring hurricane season flood alerts, and as of Saturday evening, alerts were issued for the following areas: Appleton/Glenwood, Cold Brook, Kippens (Gaudon's Brook), Corner Brook, Deer Lake, Steady Brook, Glovertown, Stephenville, Stephenville Crossing, Burgeo, Gander, Black Duck Siding and St. Alban's. Heavy rainfall can cause elevated water levels in water bodies, pooling of water in low-lying areas and localized flooding. As of 9:06 a.m. Sunday, Environment Canada tweeted that the rainfall warning had ended for the west coast of Newfoundland.